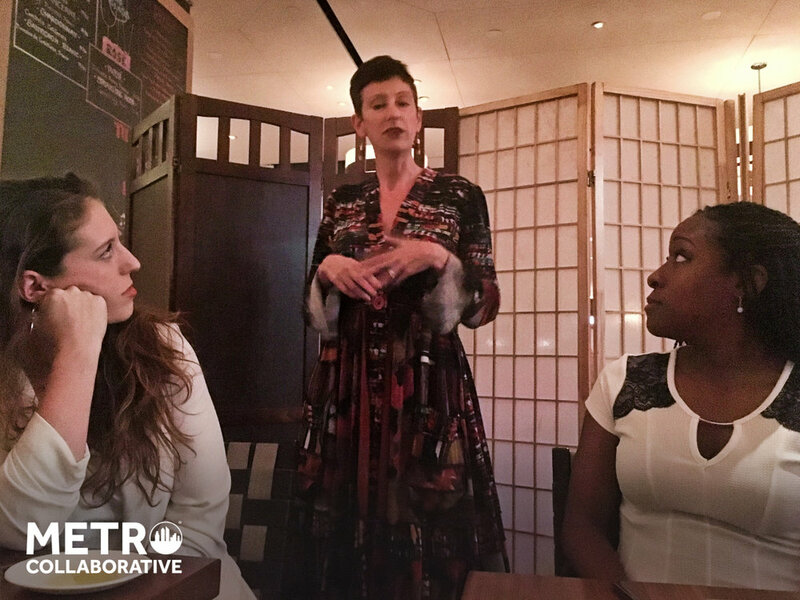 Last night’s dinner with our Manhattan Group gave each member a chance to highlight what it is that makes their work unique and how they can help their patients. Manju Pradhan focused resiliency and strengthening positive aspects of people. Joe Askinasi shared with us how acupressure and the cranial sacral approach can help those suffering manage pain and recover movement. Eva Lana shared her vision, Wellacopia, and the importance of establishing significant relationships between clinicians and the patients they are serving. Michael Picucci talked about the gift of serving others, and he elaborated on his plans to introduce focalizing to professionals - from body workers to psychotherapists. Steve Carreras addressed the myths of licensed professionals seeking help with substance abuse, regarding issues of confidentiality and maintaining a license while in treatment and recovery. Jiuan Heng shared about the purpose of homeopathy and its role in healing and rebalancing one’s energy.